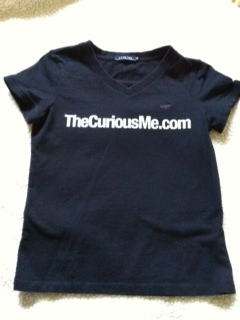 I bet you’re curious on who thecuriousme is? Get to know me at a glance… Read on! I’m the kind of person who loves to smile and laugh. I enjoy hanging out with energetic and crazy people. I’m addicted to Korean and Taiwanese Comedy TV Series. Writing is one of my passions and it serves as an outlet for venting out my curtailed emotions. My unending thirst for learning has driven me to take up and finish several courses. These are: BS Computer Science in Lorma Colleges (Philippines); MA in Technological Education at Don Mariano Marcos Memorial State University (Philippines); through a scholarship grant given by Netherlands Fellowship Program, a Post Graduate Diploma in Managerial Control and Management Information System in Maastricht School of Management (The Netherlands); and a 10-week London Chamber of Commerce and Industry (LCCI) Level 1 Bookkeeping course in Uptrend Business School (Singapore). Education, work experience and traveling helped me a great deal to become a well-rounded individual. Teaching at the age of 20 helped me become more flexible, open minded and extremely patient. While in HSBC, I learned to become an effective team player. Dealing with irate clients can be irksome but it’s absolutely fulfilling when they end up being happy and satisfied on how their concerns were handled. Whereas, working in Singapore and studying in Netherlands ignited my interest in learning other cultures and languages. One last note, I’m a self-confessed nomad. So far, I have travelled few countries in Asia, Europe and North America. I still have four (4) more continents and several countries to go. The three (3) other things that I want to do in this lifetime are: to sing one song without a glitch, become a DJ for a day, and get drunk like there’s no tomorrow.